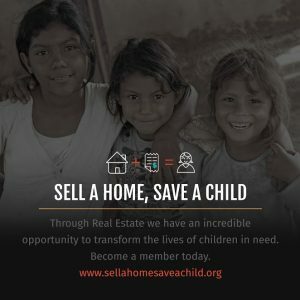 Rob Kittle is First Realtor in Colorado to Join Nonprofit ‘Sell a Home, Save a Child’ — Donates $9,000 to Help Impoverished Children All Over the World! (Fort Collins, CO – June 25, 2017) Real Estate is one of the largest grossing industries in the US and a new national nonprofit organization is inspiring colleagues in the real estate industry to be part of transforming the lives of vulnerable children throughout the world. 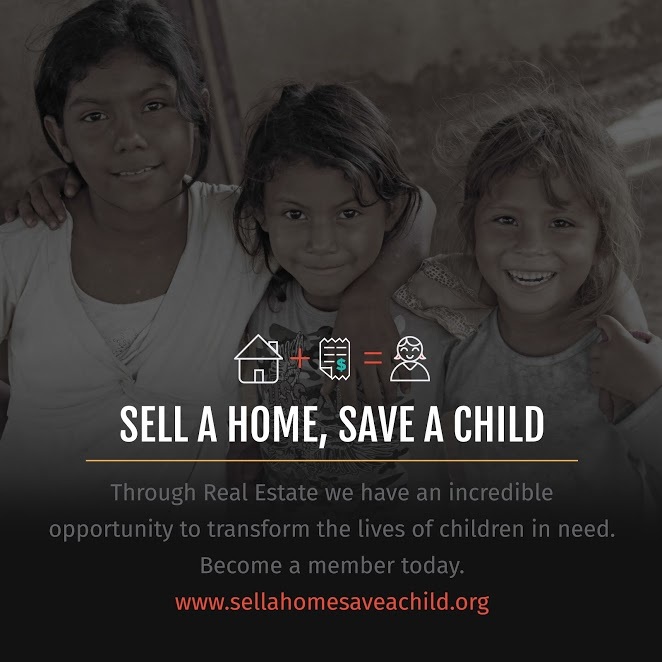 Northern Colorado realtor Rob Kittle with Kittle Real Estate recently joined Sell a Home, Save a Child (SAHSAC) and is the very first real estate professional in Colorado to participate in this worthwhile charitable movement. According to UNICEF, there are more than 150 million orphans in the world, and twice as many vulnerable children. SAHSAC began when two Realtors, Nick Shivers and Erik Hatch, decided to create a movement in the Real Estate industry to help materially poor and vulnerable children around the world build brighter futures. They partnered with Forward Edge International because they wanted to use their success and influence as two of the top 1% of Realtors in the nation to inspire a movement of difference-makers in the Real Estate Industry. After countless volunteer hours and significant financial donations, Erik and Nick’s dream came true, and they launched Sell a Home, Save a Child in 2015. Today, members are transforming the lives of vulnerable children through their generous donations that help support child-focused community development programs in Haiti, Kenya, Mexico and Nicaragua. How the program works is that real estate professionals commit to giving monthly towards helping at-risk children around the world break free from the effects of extreme poverty. SAHSAC is open to any individual or company in the Real Estate Industry, including Realtors, title companies, land developers, and contractors and with this movement there is quite an opportunity to make significant differences in the lives of thousands of impoverished children. Kittle Real Estate is a proud member of SAHSAC and they are committed to giving monthly to the program. At an industry conference recently in San Diego, Rob Kittle presented SAHSAC with a check in the amount of $9,000.00 which guarantees a full month of care for 72 children in Nicaragua, Kenya, Haiti, Cuba and Mexico and puts him at the Platinum level of giving. The organization provides nutritious meals, holistic health care, safe drinking water, education, school supplies, uniforms, tutoring, and mentoring. One hundred percent of all membership fees go to Forward Edge International. More specifically, SAHSAC funds are used to support Forward Edge’s programs for vulnerable children in Haiti, Kenya, Mexico and Nicaragua. Rob Kittle and Kittle Real Estate is the very first company in Colorado that has signed on as a member partner of SAHSAC. In October 2016, Rob Kittle presented local radio personality Jimmy Lakey a check for $10,000 for his River’s Promise nonprofit organization. Click here to learn more about the work Jimmy’s foundation is doing for Rwandan orphan children. Photo: Jimmy Lakey, in hat. Rob Kittle is on Jimmy’s right. The Kittle Team helped present the check at their fall quarterly retreat. Kittle Cares pioneers an innovative way for the Kittle Team to create a significant, on-going funding stream for our Selected Agencies by simply conducting business as usual. This leads to a positive impact and permanent life changes for those in need by combining the strengths of Kittle Real Estate’s vast network and marketing power through transaction-based funding. Are you thinking about buying or selling your home? Do you know anyone who is? Please contact us to initiate an interview. If you like us, let us meet your buying or selling needs, and we will give a $150.00 donation to Sell a Home, Save a Child for every home sold and for every home purchased from your successful transaction! Contact us for more information. 970-460-4444. #1 ranked real estate team in Northern Colorado since 2012. Rob and his team are consistently ranked in the top 200 by The Wall Street Journal in its ranking of the best realtors. The Wall Street Journal annually recognizes the country’s top 1000 realtors out of the nearly two million real estate agents in the country. 1999 – 2014 while at Keller Williams, Rob Kittle was the top producing agent in Colorado and the top 20 nationwide. 2014 – 2016 while at Coldwell Banker, Rob Kittle was the top producing agent in Colorado and top 10 nationwide. 2016 – Present, Kittle Real Estate is recognized as Colorado’s top producing real estate team and is ranked in the top #216 in the entire country. Read more about the Kittle Team.